A long-held dream to recreate the birthplaces of English playwright William Shakespeare and his Chinese contemporary, Tang Xianzu, in one new town is set to become a reality by 2022 in southeast China. Construction of the tourist town near Fuzhou, Jiangxi province, is expected to begin soon after the final hurdle was cleared on Friday with a contract signed between the Shakespeare Birthplace Trust in Britain and the Fuzhou authorities. The new town Sanweng – which means ‘Three Masters’ – will also honour Spanish author Miguel de Cervantes, who wrote the novel Don Quixote. All three died in 1616. Tang, who was born in Fuzhou, is widely regarded as China’s greatest playwright. Plans for the town have been at least two years in the making since Fuzhou and Stratford signed an agreement to establish friendly relations in April 2016. 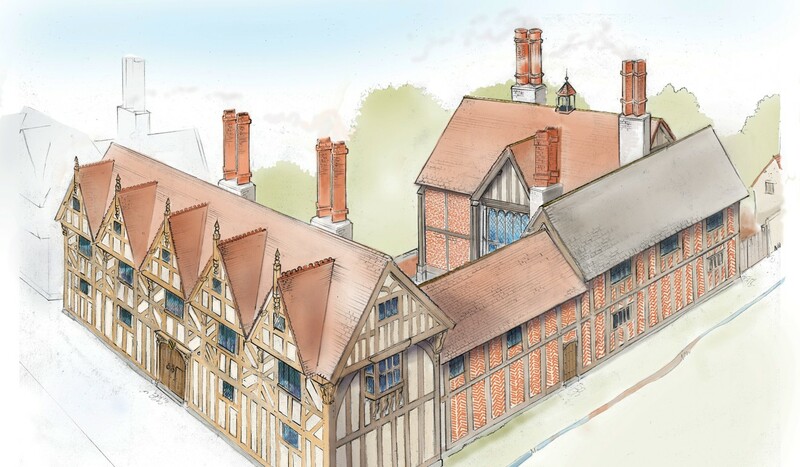 The Shakespeare Birthplace Trust, a British charity which manages historical properties connected with Shakespeare and his family, will provide consulting services for the project. The trust will share archaeological details of the properties to be recreated with local government developers so they can remain true to the original buildings in Britain. “Shakespeare is well studied across the world, particularly in China, and both playwrights explore similar themes in their work of love, life and loss,” Philippa Rawlinson, the trust’s operations and marketing director, said. “It’s important, in a world that is perhaps getting sometimes more divided, to have cultural products showing what we can learn from each other. “Not everyone can come and visit us in the UK, so helping to create a physical manifestation of Shakespeare’s life in another country will help to spread cultural understanding,” she said. Councillor Christopher Kettle of Stratford-upon-Avon agreed the project would “enhance further international cultural exchanges between Fuzhou and Stratford-upon-Avon”. Alexa Alice Joubin, a Shakespearean scholar at George Washington University, said the national poets of Britain and China had become a vehicle in recent years for British and Chinese cultural diplomacy and soft power. “However, jointly sponsored festivities such as the Shakespeare-Tang Project in Leeds and Shakespeare Lives (British Council in China) do not always promote cultural exchange on equal terms,” she said. The site is expected to be 89 hectares, around 20 minutes west of Fuzhou, with sections devoted to each of the three masters. Part of Sanweng will resemble the medieval 16th-century English market town of Stratford-upon-Avon where the Bard spent most of his life, including “authentic” replicas of Shakespeare’s birthplace as well as New Place, his marital home that was demolished in 1759. Tang will be honoured with a museum, town hall and a “garden of famous dramatists”. Cervantes’ section of the new town is expected to feature replicas of the church and town square from his hometown of Alcalá de Henare. A staff member at the state-owned Fuzhou Cultural and Tourism Investment Development Company said the exact location had not yet been finalised. “We are still welcoming outside investment, and hiring people to plan and research the project’s final position,” he said. The staff member said tourism was the main driver behind the local government’s ambitious scheme, which will accommodate up to 10,000 visitors per day at peak season. “It’s for making money. It is a comprehensive, very profitable project that includes performance, education and recreation. But at the moment, the business pattern is not clear,” he said. The plan to create the town was first announced by the mayor of Fuzhou to a visiting delegation from Stratford in 2016, marking the 400th anniversary of the deaths of Shakespeare and Tang Xianzu. This is not the first time China has played up the seeming connection between Shakespeare and Tang, whose work has captivated audiences in China for centuries. Tang, known as the “Shakespeare of the East”, created intricate and profoundly moving works of Chinese opera, which are often concerned with romance and dreams. He lived during the late Ming dynasty (1368-1644), when Chinese society was slowly transitioning from a rigid feudal system to become more open. As such, Tang’s plays often feature complex female characters who aspire towards autonomy and the right to choose their own male partners. Tang was not a particularly prolific playwright, having started writing after dedicating most of his life to an undistinguished career in the civil service. He wrote four major plays while serving as a low-level bureaucrat, of which the romantic tragicomedy The Peony Pavilion is the best known. Even now, most Chinese view him as a scholarly bureaucrat, in contrast to Shakespeare, who actively performed in and directed theatre troupes when the art flourished in Renaissance England. But, like Shakespeare, Tang left a considerable body of work, including more than 2,000 essays and poems in addition to his four major plays. High-profile drama festivals in China have celebrated the works of both playwrights in recent years, and Chinese President Xi Jinping referenced the two literary giants as a symbol of cross-cultural understanding while in London in 2015. In 2016, statues of the pair were put on display in Stratford and Fuzhou as part of a long-running campaign by the Fuzhou government to rebrand the city into a cultural tourism hub. Shakespeare’s plays rose to popularity in China when they were first translated from English in the early 20th century by the playwrights Zhu Shenghao and Liang Shiqu. His works only began to be performed publicly in China after the death of Mao Zedong in 1976. Chinese archaeologists claimed last year to have found Tang’s tomb in Fuzhou.